Cable giant Comcast is now home to over half of all U.S. broadband customers. This past week, the FCC voted to update the definition of broadband, raising the minimum required speeds from 4 Mbps downstream and 1 Mbps upstream to 25 Mbps downstream and 3 Mbps upstream. This change now boosts Comcast’s broadband market share from 37% up to approximately 56%. Under the new definition, 17% of the U.S. public lacks access to broadband Internet speeds. That number rises above 50% when you only consider those living in rural areas. Why did the FCC decide to redefine broadband? The change to the definition of broadband is meant to highlight the fact that a DSL connection, delivered over phone lines, isn’t a real competitor to cable Internet. 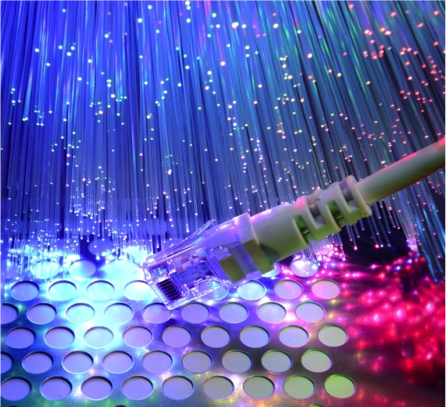 If you’re a 4 Mbps cable customer, for example, you can likely pay to have your connection speed increased without requiring new hardware or a service visit. If you’re a DSL customer, 4 Mbps may be the highest speed you’re able to achieve over the connection with current technology. DSL connection speeds fall sharply as the distance of copper wire used increases, and significant improvements in DSL technology still appear to be years down the line. It’s still too early to tell whether the redefinition will impact Comcast’s desire to merge with ISP competitor Time Warner. According to Comcast (PDF), Time Warner is not a major player in the 25 Mbps+ market. Adding their customers into the fold would only boost Comcast’s market share by another 1%. And Comcast has long contended that it competes directly with wireless data provided by carriers like AT&T and Verizon, despite the fact that little if any competition between the companies exists. Comcast would “only” control 44.7% of the broadband market if mobile broadband were included as a competitor.